From a passion for service, to an interest in finding community to career goals, UF students get involved in extracurricular activities to seek various kinds of fulfillment. The sky is the limit for these students who have been involved on and to off campus activities, internships, volunteering, research positions, cultural organizations and Greek life. Read on to meet 10 Gators who have succeeded in balancing extracurriculars with their academics and other aspects of their lives. 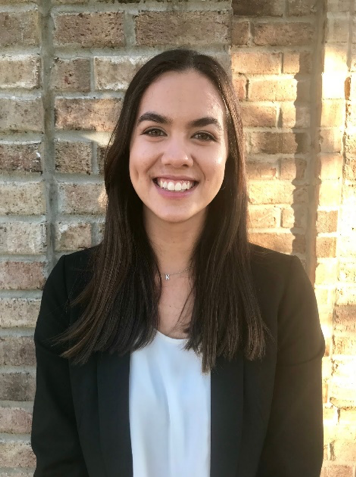 Marcela Astudillo, a fall 2018 public relations graduate, started her involvement with the Innovation Academy at UF, in which she grew to become an Innovation Academy ambassador. In this position, she represented the Academy for various functions and held office hours to help other students. 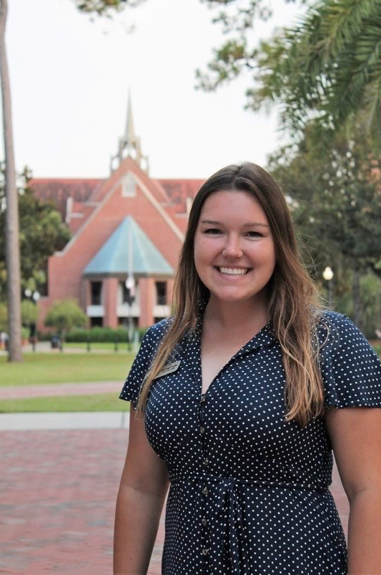 In her sophomore year, she joined the Florida Cicerones, UF’s student ambassadors, which became one of her favorite involvement experiences at UF. She gave tours on campus, helped host other college’s presidential visits to and held different leadership positions –– all experiences which she grew immensely from. As a whole, Astudillo got involved to find her niche on campus. Her on-campus involvement included holding the position of Student Government senator and being part of a sorority for some time. She would advise students to become involved in activities that they really want to do. “It is important not just for them to pick you but for you to pick them,” she said. 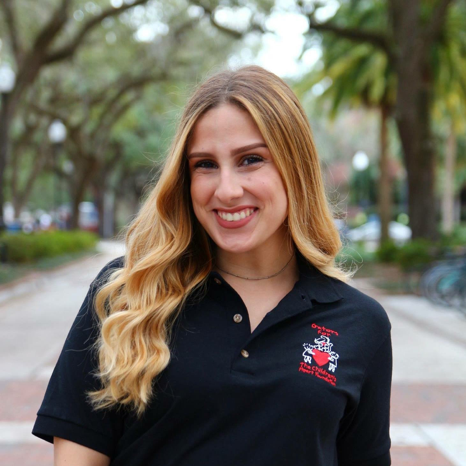 To explore the field of communications and her major, Astudillo wrote as a freelance writer for the Independent Florida Alligator and the Gainesville Sun. She also interned with Habitat for Humanity’s PR department and with Congressman Ted Yoho. During Astudillo’s junior year, she found an empty spot on campus that she felt she could fill, so she started the Association for Media Professionals (AMP), a mentorship club for undergraduate students in the College of Journalism and Communications. “AMP was by far my favorite involvement because I feel like I got to make my own impact. I felt like I was investing in something that I could call mine,” she said. Despite the fact that it took much time and dedication, she decided to create the club because she felt passionate about wanting to guide new students, based on her own experience as an underclassman. 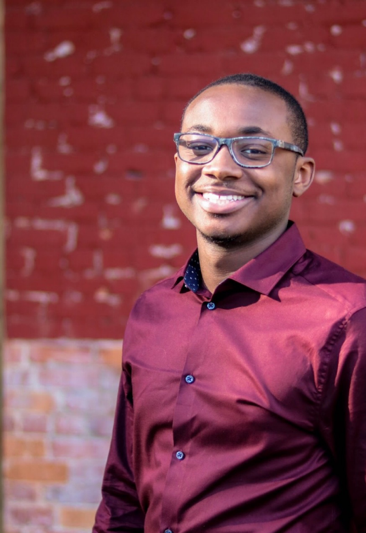 Akil Reynolds, a self-described “experiential learner,” has gotten involved throughout his four years at UF because of his desire to participate and hold positions in constructive and uplifting activities. 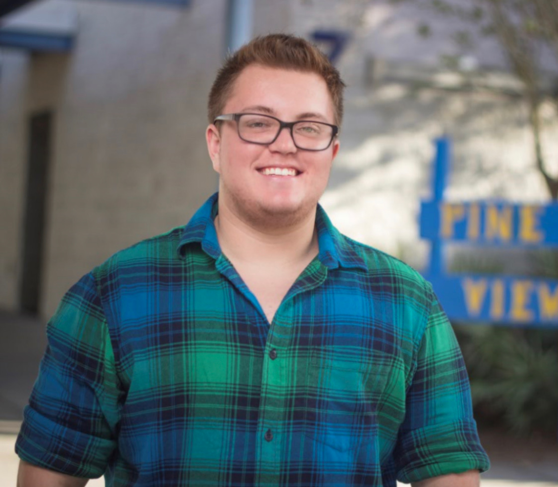 During his freshman year he got involved in the Inter-Residence Hall Association’s Fall Leadership Conference at Infinity Hall and held a treasurer position for area government. He worked towards getting Infinity Hall a Senate seat. Further housing involvement included working as a Hume Hall RA for two years. He participated in Gatorship, a social justice retreat, during his freshman spring, became an assistant director his sophomore year and, finally the director his junior year. “I enjoy mission-tailored work that develops the well-being of individuals,” he said. He was also on 2017’s Preview Staff, where he was able to guide and serve as a guide for incoming Gators during orientation. He joined the Black Student Union towards the end of his freshman year, became assistant treasurer his sophomore year, moved up to vice president and currently serves as president his senior year. “I like to work on black community healing and with people of under-represented groups who seem powerless,” Reynolds said. He enjoys this club because of the advocacy component it entails. “I appreciate the impact that I can make as a student. I hope to get into a career that allows me to get the flexibility to do a lot of different things,” Reynolds said. As a public health major, Reynolds has completed health disparities research to promote health behavior. As a junior he also interned at the VA, a position he still holds, where he works with physical medicine and rehab services and outpatient clinical services. The summer before his senior year, he interned in Boston at a non-profit institute for health improvement. And if you thought that was all, he also serves as a wellness educator with GatorWell Health Promotion Services, a mental and physical health support system for UF students. Rachel Marley, a nutritional sciences junior, has sought out extracurricular experiences that motivate her. As a freshman she started with the Club Swim and Dive team because she wanted to continue the sport without allowing it to distract her from schoolwork. “After my freshman year, I really buckled down on what I want to do in the future and I joined pre–dental organizations,” she said. Her career goals align themselves with much of her extracurricular involvement. Marley approached her professor, Dr. von Castel, who invited to join her research team with the UF College of Dentistry. They examine the correlation between sweetened beverages and caries in children under the age of three. The pre-dental honor society called Delta Delta Sigma, invited Marley to join based on her academic achievements. She also has gotten involved in UF’s ASDA (the American Student Dental Association), a nationally recognized organization for pre-dental and dental students. With that, she participates in service activities geared towards pediatrics. “My involvement challenges and pushes me to do the best I can in everything I set my mind to,” she said. Because she works with people who share similar interests and motivate her, she always enjoys her activities. Nathan Quinn got involved in Pride Student Union (PSU) starting in his freshman year and has continued growing within the club. He held the position of social media and marketing director of the organization during his freshman year, vice president in his sophomore year and currently acts as the president in his junior year. When Quinn started at UF he wanted to fill a noticeable void in representation and unity. “I really saw this need for community that wasn’t happening,” he said. In order to fix this, he set one of his major goals to get more people coming out to the events. “We’re seeing an upward trend in attendance and interest at all of our different events now,” he said. His dedication to filling that void worked. Quinn also joined Planned Parenthood Generation Action, an activist group, as assistant publicist in his sophomore year. “I essentially wanted to be some behind the scenes help for the group as well as a trans voice in a subject usually dominated by cisgender people,” he said. Quinn is also part of the Women’s Student Association in its mentorship program, where he has two mentees. He joined to be a mentor that people could relate to and help UF students find their way. “I want to work towards having more spaces to connect with people of the same identity,” Quinn said. A psychology major with a specialization in behavioral and cognitive neuroscience and music performance minor, much of his involvement aligns with his career goal of being a gender therapist to transgender individuals and other people within the LGBTQ+ community. For political science sophomore Mauricio Perez, finding the things he wanted to get involved in took some time, as his high school did not offer many extracurricular opportunities, “It changed a lot until I found what I really, really liked,” he said. Using the Gator Connect database, he found a general picture of what he wanted to get involved in for the rest of his college career: Housing, Student Honor Code Administration and the Hispanic community. During the fall of his freshman year, he took a position as mentee in a program for Hispanic students called LEAP (now PODEMOS). “I took my mentor’s advice to heart in terms of academic involvement and became involved in undergraduate research,” he said. He then became involved with the Hispanic Student Association (HSA), in which he received the title of General Body Member of the Year. He is on the executive board of CASA (Cuban-American Student Union), which he calls his main involvement. “I’ve found a lot of fulfillment in the Hispanic community,” he said. He got involved in area government through IRHA (Inter-Residence Hall Association) where he helped organize events and became environmental chair. Then, he became a Student Government Lakeside senator during the summer of 2018. As an Innovation Academy student, he realized there was a discrepancy between the number of times he could get on the Dean’s List compared to traditional students. Innovation Academy is a program in which students take classes at UF in the summer and spring terms, rather than fall. He is proud that he was able to introduce legislation that changed this. He has also put time towards his involvement with College Democrats, Model UN, Students Taking Action Against Racism and Phi Alpha Delta Pre-Legal Fraternity. “Getting involved can be very competitive, you have to remember to have fun and make friends,” Perez said as his overall takeaway. 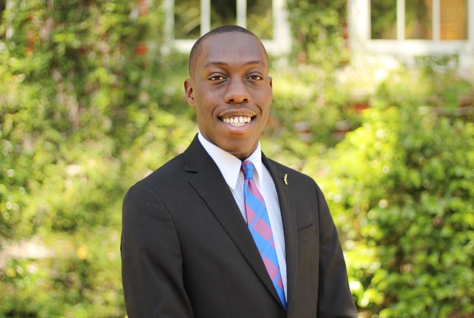 Omarley Spence, a fall 2018 economics graduate and current full-time grad student in UF’s Masters of Science in Management program, was and continues to be vastly involved and fulfilled at the university. “I am really blessed that I had the opportunity to be involved in a lot of organizations that have been really instrumental in my college journey,” he said. 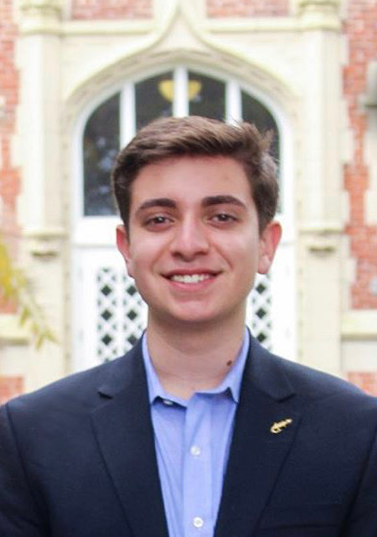 During his freshman year he was a part of the Freshman Leadership Council and the Gators of Tomorrow—a leadership organization which later named him program coordinator and president. He loved his experience with the U Matter, We Care ambassadors because it focused on such an important part of the college experience: mental health. Spence later became an executive director during his junior year. The summer after his freshman year he worked as part of Preview orientation staff, in which he found his love for mentorship and guiding others. This followed through into his sophomore year when he became involved in the Florida Cicerones. During his freshman and sophomore years, he danced in UF’s Dance Marathon, a fundraiser for sick children at Shands Hospital. For the following two years he became part of the morale captain team. Spence joined Student Government Senate and even became party president for the Impact Party during spring of his junior year. “My main role was to maintain a unified party and a consistent message for the party,” he said. Spence acts as chairman of the BRIDGES Minority Outreach program, a new agency within student government currently in its pilot year. “It was fulfilling to create such an organization, design it, work closely with the SG president and bring it into fruition,” he said. He was also on the LGBTQ+ advisory council to President Fuchs and the Student Honor Code Committee within the Dean of Students Office. Spence has learned so much from his extracurricular involvement that goes beyond the classroom. “There is so much to learn from other people through hearing their stories, watching them in action and in leadership,” he said. Throughout college, he got involved in experiences that he could apply to any later career path. A sophomore psychology major, Emelie Reyes specializes in behavior analysis and will also achieve a minor in health science. During her freshman year, she served as the executive assistant of the Gator Chapter of the Children’s Heart Foundation, an organization that funds congenital heart defect research. “It was really rewarding to see the children feel represented and also to be able to raise money for them,” she said. Reyes also held the social media chair for the neuroscience club. She also carried the position of assistant director of UF’s Hispanic Heritage Month pageant. She participated in the Member Leadership Program (MLP) in the spring of her freshman year and is currently the MLP membership relations director. Reyes decided to become an MLP director to give back to the program that gave her so much. “Helping facilitate MLP has helped me realize the true meaning of community and the power of unity,” she said. 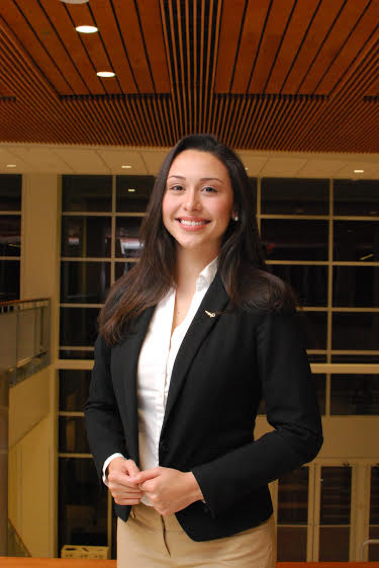 In the fall of her sophomore year, she became an ambassador for UF’s Hispanic-Latino Affairs and joined the Hispanic Student Association programming cabinet as general body meeting co-director. Much of Reyes’ involvement involves her Hispanic culture. “I’m Cuban and I like making the university feel more inclusive to other people,” she said. She also found her interest in planning events through her various involvement. Reyes sees herself as a “people person,” and loves to surround herself with other people in different activities. Shreya Raman learned the importance of involvement helping you find your “home away from home” in her freshman year, but also that you should only take on what you can handle. “In my freshman year, I bit off more than I could chew. As a freshman you should explore what you’re interested in. Find your passions, even if they don’t correspond to your career goals,” she said. She participated in the Asian American Student Union (AASU), the Freshman Leadership Program and the Student Honors Organization in her freshman year. As a sophomore, Raman held the Alumni Student Relations and Graduate Relations Chair for AASU. She began volunteering with Streetlight, a program at UF Health Shands Hospital, where she works with teenagers in palliative care. 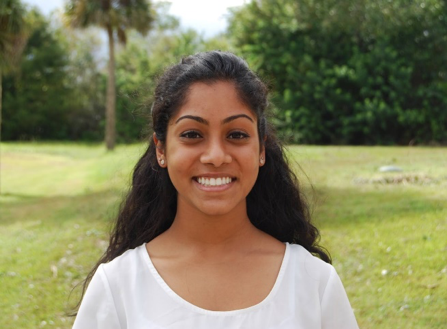 Currently a microbiology junior, Raman serves as a proud Florida Cicerone and External VP of AASU. “I correspond with other organizations on campus, reach out to members and to the large Asian American community on campus and promote awareness about Asian American issues,” she said. Raman orients much of her involvement towards her career goals. “In Cicerones I work with communities and people, skills which I need as I’m hoping to be a physician in the future. With AASU I learn how culture and heritage plays a huge role in your life and shapes perspectives,” she said. Everything she has joined has helped mold her in a special way into the student and person she is and will continue to be. Nicole Chang’s involvement has varied quite a bit, similarly to her major. She started as a health science major and got involved in Dream Team UF, researched for Arts in Medicine and volunteered with a program called FIT for ALL at Gainesville Health and Fitness, where she helped train people with disabilities. Chang got involved with Special Friends as a personal attendant at Cypress Hall for students with basic mobility needs. “It is the best thing that has ever happened to me,” she said. She has been involved with it for a year and a half. As a junior, she transferred to the College of Journalism and Communications and became a telecommunication major with a news specialization. When looking for involvement that pertained to her new major, she felt behind because she transferred as a junior, “All I knew was that I wanted to write,” Chang said. She accomplished this by becoming a staff writer for College Magazine where she writes one article a week. Additionally, she became involved with WUFT doing radio reporting and now anchors and produces for TV. Chang’s involvement with the CJC has introduced her to and prepared her for career options that excite her. Patrick Rougraff, an junior accounting major, joined organizations in his freshman year to have different outlets at school. The reason I stayed in the clubs is because I am passionate about what they say or do,” he said. He joined Circle K International, a service club, out of his passion for volunteering and service. Rougraff served as fundraising chair his sophomore year and currently holds the position of treasurer. “It’s really great to see how much of an impact you can make in just one day,” he said in reference to the service work Circle K accomplishes with nonprofit organizations, the homeless community, special needs groups and environmental organizations. Rougraff joined She’s the First, a club that raises money towards female education in developing countries. “I think we’ve funded 15 students all over the world, which I think is really cool,” he said. 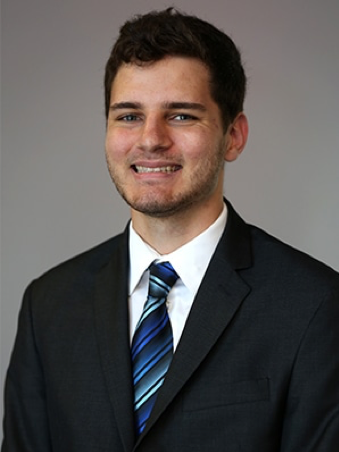 Rougraff also became involved in the Accounting Council during his freshman year, where he is now treasurer. He joined to become more acquainted with the Fisher School of Accounting and because it aligns with his career goals. “Each thing I’m involved in has a different reason, mostly it’s about helping others and making a difference,” he said.